You’re looking at a segment of Lochner Road in south Albany. 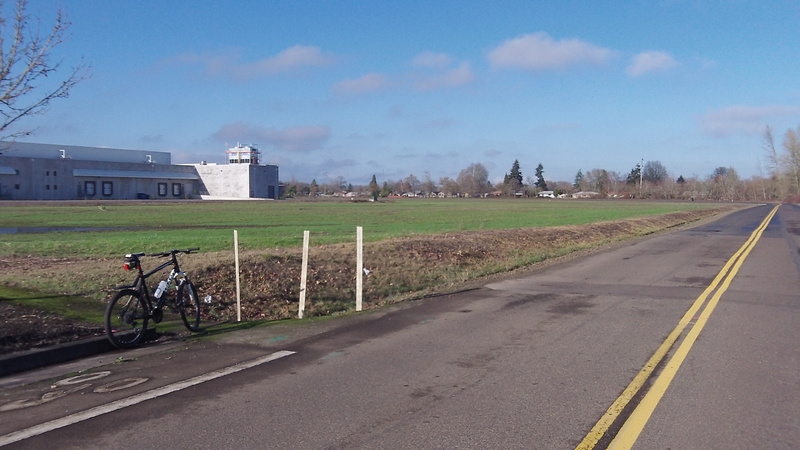 It’s thinly paved but otherwise unimproved from this point north, and this apparently is a barrier to plans by SnoTemp, part of which you see on the left, to expand and also recruit a new fruit-processing plant. On Monday, this problem will be unloaded on the city council, which is scheduled to hear about it at a work session starting at 5 (instead of the usual 4) p.m. at City Hall. Rebuilding that stretch would cost an estimated $2.6 million. Part would be paid from a state program to encourage economic development and part from systems development charges paid by developers, leaving $1.2 million. The suggestion before the council is that the city advance this sum as a loan from its economic development fund. The Marion Street side of SnoTemp. 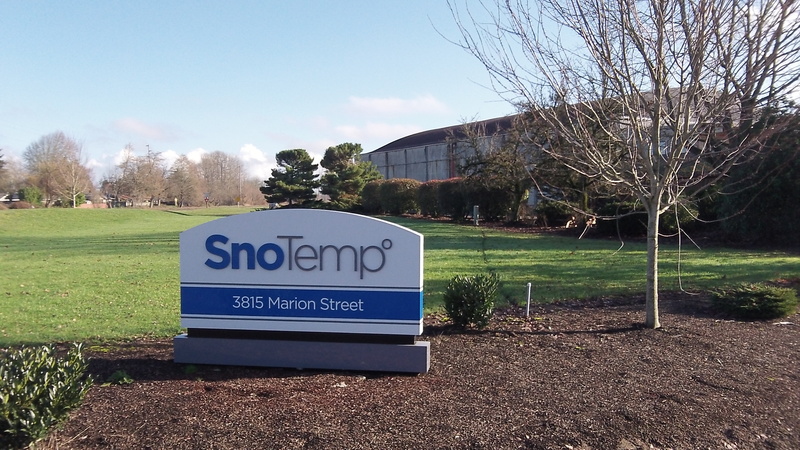 SnoTemp is a cold-storage company that serves two Albany food processors, National Frozen Foods and Oregon Freeze Dry. 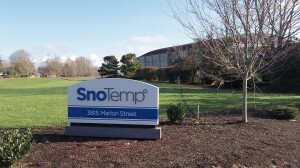 The company plans to expand from its existing 375,000 square feet of cold storage to 455,000 square feet, adding 10 jobs. It also wants to recruit a fruit processing plant as a tenant, which would add another 30 jobs at 140 percent of average Linn County wages, according to the proposal. 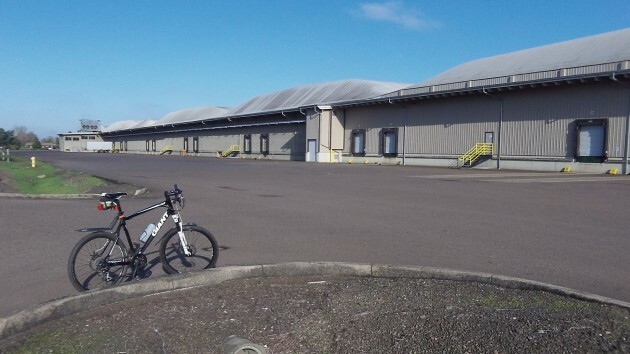 The company’s plan estimates that the expansion and addition of the new plant — after the end of a proposed three-year Enterprise Zone tax break — would yield more than $1 million in annual property taxes, up from $330,000 now. General Manager Jason Lafferty is telling the council in a memo that SnoTemp is ready to start the expansion “upon receiving funding for the gap.” He thinks the city could accomplish the road reconstruction before the end of 2017. The company would complete its expansion by April 2016. That summer and the next, trucks would be able to reach the site from the Marion Street side of the grounds. After that, they would use Lochner. Is that section in the city limits? Just a quick look with Google maps, it looks like they could remove a “shed like” building on the North and use Marion St. Yes, it’s in the city limits.